Bought as gift. Son loved it. Gift for adult Grandson, and he thought it was "Cool". I put it on my desk at work, and everyone loves to try it, and asks where they can get one!!! The Buddah Board made it possible for an Artist, who can no longer paint due to ALS, to paint again. It was truly the gift that keeps on giving. 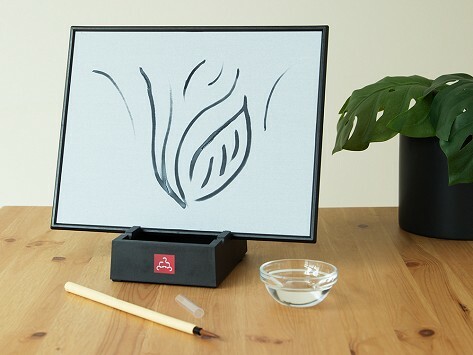 My friend, an artist, greatly appreciated the Buddha Board! Love this board! It's great for practicing my brushwork before I decorate pottery. It's also an excellent distraction at my desk - I can take a moment to be in a creative zone without pulling out materials and cleaning up afterwards. 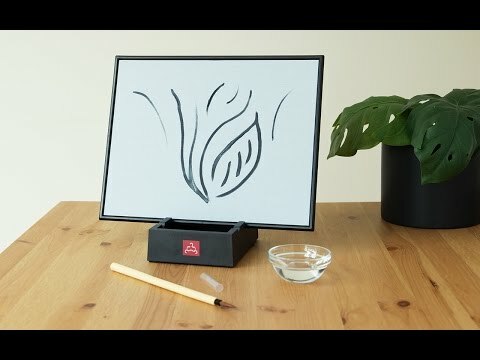 I am learning Japanese calligraphy and this is the best teaching tool without being wasteful to paper use and using a lot of ink. thanks. The board is also set out in my kitchen desk area so I can make a whimsical design to begin my day once rising and getting the coffee process going…thanks! Love it. Perfect "package" arrangement too.